The experts behind Hong Kong-based TAC Index claim to have created a unique benchmark tool and kind of barometer making rate developments calculable, lowering the financial risks of forwarders, airlines and other cargo community members. Sounds like an interesting approach. For CargoForwarder Global reason enough to meet the service provider’s MD John Peyton Burnett (PB) and Business Development Director Robert Frei (RPF) during their recent Hamburg, Germany stay, to speak about the specifics of this innovative product. Robert, you were global head of air freight at logistics giant Panalpina for 15 long years. What made you decide in 2012 to enter into a completely new and extremely challenging project, shaping TAC Index together with Peyton Burnett and other experts, offering the industry weekly reference price information for general cargo on key origin-destination (O-D) pairs such as Hong Kong-Amsterdam, for instance? RPF: I did not leave Panalpina for the TAC Index. However, the many years of having to live with intransparency in the markets and a lot of emotional business discussions with clients, own management, sales and tender teams as well as carriers about the correct level of procurement and ultimately selling prompted me to make another attempt at changing this. The shippers started to tackle the problem for themselves as the industry was not willing to address it. They started tendering as means of price discovery and the industry had to adopt. So they invited me to join in late 2011 and we moved on together. The first TAC Index went online in 2016. How has the product developed since? PB: The data sets published by TAC Index are of very high quality. Our Data Providers are very pleased with the results and are pushing TAC Index to expand coverage and introduce new forwarder centric KPIs. We work for our Data Providers. Your company claims to be the “premier provider of accurate, timely, and independent reference price information” for standard freight worldwide. Are we talking about all-in rates or on which pricing parameters are your calculations based? PB: Focus is on airport-to-airport all-in rates, i.e. 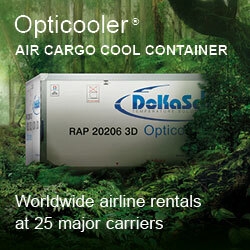 Cargo Rate, Fuel Surcharge & Security Surcharge Rate only. Why have special products such as time or temperature critical items been exempted from calculating the reference prices? 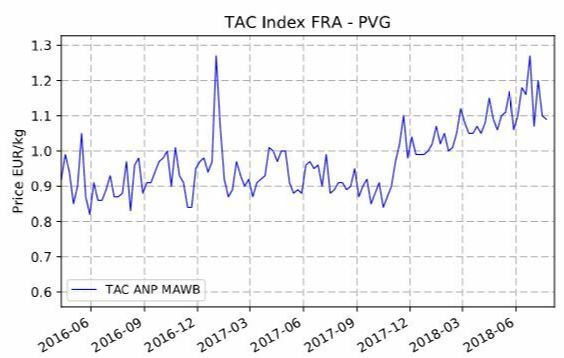 PB: TAC Index tracks volatility in the air cargo market hence the focus for TAC Index is to track General Cargo volatility. Time or Temp critical is a service level. For price discovery purposes these services would be considered a PREMIUM. Likewise, a deferred shipment would be considered to be trading at a DISCOUNT to the TAC Index O-D pair. This is how other commodity markets trade. Traders trade around an index, not at an index data point. As said, forwarders provide the shipment data enabling your algorithm to calculate reference prices. What’s their benefit for letting your company look into their books making their business processes extremely transparent? PB: Data Providers have updated their IT systems recently; some are still in the process. They can now press a button and see what their trading position is in real-time or near real-time. How can they compare to the market in a timely manner? They cannot. That is where the TAC Index comes in. We use the same metrics they use internally to benchmark and then replicate these benchmarks and KPIs against not only the whole market, but their basket of peers. TAC Index adds new tools to their tool box. It is for them to choose how they use the tools. Whether it be for benchmarking purposes, price discovery, a customer facing tool or risk management. TAC Index, together with our commercial partner Freight Investor Services, will be performing educational seminars at the major hubs around the world and will be inviting both industry users and financial market users. And how do you secure data integrity? PB: Again, we follow best practice in the commodity markets for generating indices to be used as a Settlement Price. This is a combination of using transactional data sets, as opposed to declaratory data sets, and statistical modeling techniques. For the latter, we have 5+ years of development. This brings up the question how airlines, airports and other members of the cargo community benefit from your data provision? PB: TAC Index is another tool for them to use. Airlines particularly find the TAC Index data sets useful on the O-D pairs that they are either not active on or only have limited exposure to. They can use it to make market decisions. For example, whether to enter into a new market. How much they need to discount to gain market share, etc. A freight carrier’s most risk neutral position is to track the market. Hence interest in Index linked agreements. 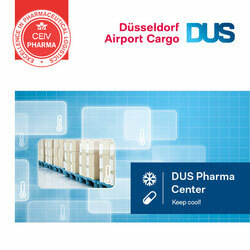 Airports are generally interested in cargo data in and out of their airport and neighbouring airports. Shippers now are much more interested in Price Discovery on a regular basis, not just when they are going through a tender process; especially now that there is a shortage on the supply side. Shippers are also interested in managing their forward risk. Besides the average all-in rates paid by forwarders to airlines based on the actual weight of shipments documented in the Master Air Waybills you offer users two sub-sector indices. What are they about? RPF: The index that we publish is not simply based on the actual weight of the MAWB. It is the total cost (airport to airport rate plus fuel and security if not already part of the rate) divided by the actual weight of the Master Air Waybill. This is an easy to understand formula also for non-industry experts and this is relevant as we have as subscribers’ financial analysts, publishing companies, shippers, airports etc. For our data providers (the freight forwarders) we publish two sub sector indices, which also consider the consolidation benefit they are able to achieve as well as the density factor on the lane plus several other KPIs our data providers have asked us to include. Consolidating is risk taking by the freight forwarders, so this should help them to manage this risk better. We are very clearly a forwarder centric tool and they can tell us what they would like to see and then we provide it to all of them if the data allows us to do so. So early adopters are the ones that can shape the product. It can be assumed that you didn’t develop your index scheme for charitable reasons. So, what’s your pricing model? PB: TAC Index works on subscription and licensing models. Data Providers (only forwarders) can access TAC Index data sets FREE of CHARGE. Industry Subscribers (airlines, airports, shippers etc.) pay per route or per basket published. Financial Services can access the data via subscription or licensing agreements. Offering your customers price forecasts would be thrilling but might cause nasty legal steps, correct? PB: Absolutely, TAC Index can only publish HISTORICAL TRANSACTIONAL data. TAC Index cannot publish forecasts as this could be construed as signaling and therefore antitrust. Neutral Third Parties such as Freight Investor Services are allowed to publish forward guidance tools against the TAC Index. This is presented in the form of a Forward Curve. A forward curve estimates where an index will settle in the future. This can be updated on either a daily or weekly basis. In more mature markets multiple third parties would look to produce forward curves against a particular index. Finally, has TAC Index the potential to become a game changer? PB: TAC Index is already a game changer especially with the interest coming from the financial markets! TAC Index is already used by banks in relation to Credit Valuation Adjustments (CVA) and as a lead indicator for transportation equities. This is only possible due to the timeless and high quality of the data. Robert Frei focuses on TAC Index data providers. Mr Frei was instrumental in defining the product. His air freight experience spans over 25 years in high level positions. Executive programmess at Columbia, Cranfield Universities and Lausanne, Switzerland-based IMD - International Institute for Management Development followed on to his marketing degree. For many years TAC Index Managing Director John Peyton Burnett has worked closely with the commodity markets to index air cargo. 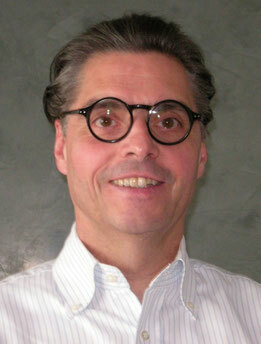 He has 20 years’ experience in the aviation sector specializing in aircraft charter. 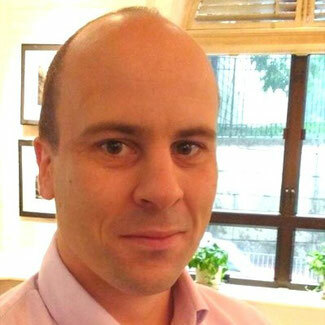 Mr Burnett is a graduate of Durham University, UK.